Very unique dish and tasty too. 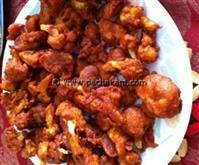 Fried capsicum blended in rich cashew and groundnut mixture. Fry capsicum pieces in oil and keep it aside. 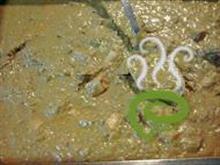 Fry coriander seeds, cashews and groundnuts separately, without adding oil. 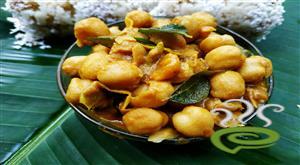 Make a paste of groundnuts and cashews separately. 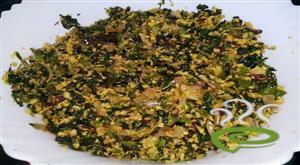 Grind onion, tomato, garlic, ginger, cumin seeds, the spices and coriander seeds into a smooth paste. Add the ground masala and fry, until the oil starts to separate. Add groundnut paste and cashew paste. Stir well and let it boil for about 3 mins. Add fried capsicum and stir well. Close with a lid and let it cook for 5 - 10 mins. Add lemon juice to Capsicum masala, before removing from the flame. Garnish Capsicum masala with coriander leaves before serving. 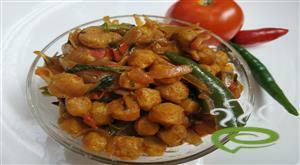 :- Serve Capsicum masala with chappathi, naan, fried rice etc. 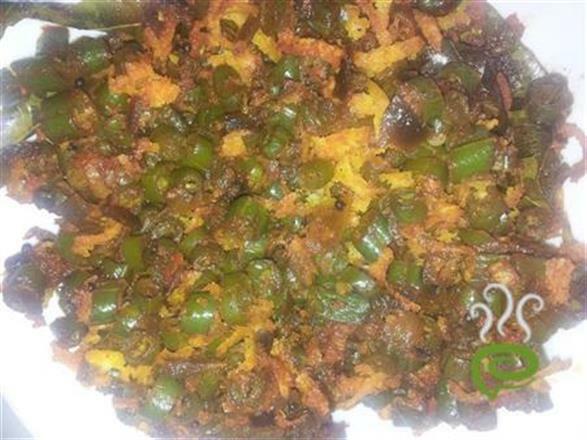 This is one of THE BEST recipes of Capsicum. I prepared it. 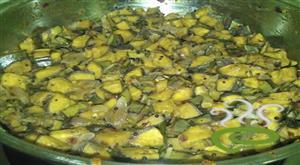 I prepared this curry, very good taste and appearance as well. Thanks heaps.. I prepared this curry and came out very good and tasty. Thanks heaps. 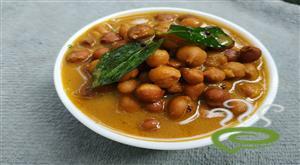 I cooked this curry and everybody in our family liked this recipe. They are telling me to cook this recipe again and again.. This is indeed a delicious dish and something v different too! BEST ANSWER TO MY SEARCH FOR A CAPSICUM DISH...SO TASTY..I ADDED ONLY CASHEW NUTS....IT WAS A VERY GOOD COMBINATION WITH RICE AND IT CAN GO ALONG W CHAPATHIS VERY NICELY. 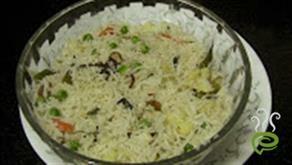 Great recipe..I never knew how to make a good dish with Capsicum..now I have something awesome. Excellent is an understatement for this delicious recipe.This one is a must. Wish i could present more than 5 stars to it. do we have to add water in the 8th step? and if yes then how much?